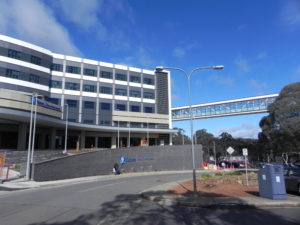 Calvary Private Hospital in Bruce will cease providing private maternity services from 28 April 2019. They are not taking new bookings at that hospital. Calvary Private Hospital offers flexible services while maintaining the highest standard of care. The hospital aims to meet the needs and desires of women throughout their pregnancy and birth, ensuring the health of both you and your baby remains at the forefront of your treatment plan. Maternity Services at Calvary Private Hospital work in conjunction with your private obstetrician. Throughout your pregnancy, you and your obstetrician will formulate plans for having your baby at Calvary Private Hospital. Your obstetrician will provide a referral, giving you access to childbirth and parenting education programs and workshops. A pre-admission appointment will be arranged for later in your pregnancy. It is important to make an appointment with your GP early in your pregnancy to discuss your pregnancy care options and obtain obstetrician recommendations and referrals.